Most kids nowadays would not have heard of Mr. Peabody & Sherman. And despite my age, neither did I. The incredibly intelligent talking dog and his adopted son, comes to us from Rocky & Bullwinkle from the 1950s and 1960s. Even though the moose and squirrel has been on syndication even when I was in elementary school I've never came across Mr. Peabody & Sherman. The movie while a beautiful animation as far as visuals, is not for everyone, and unfortunately that includes the younger children. The reason why I say that the movie are not enjoyable for kids is that despite the movie being beautifully animated, the characters and the puns are not suitable for young children. 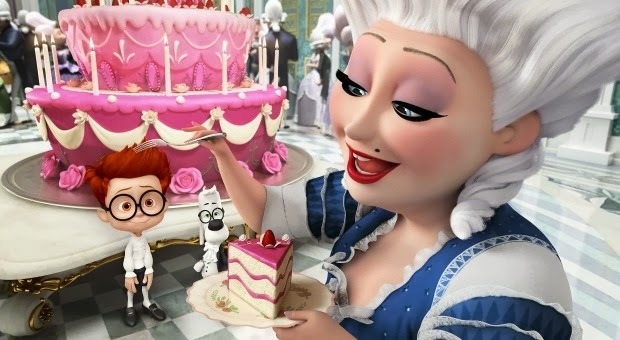 The characters especially Mr. Peabody lacks a certain charisma you would expect from one of the co-leads of a children animation. 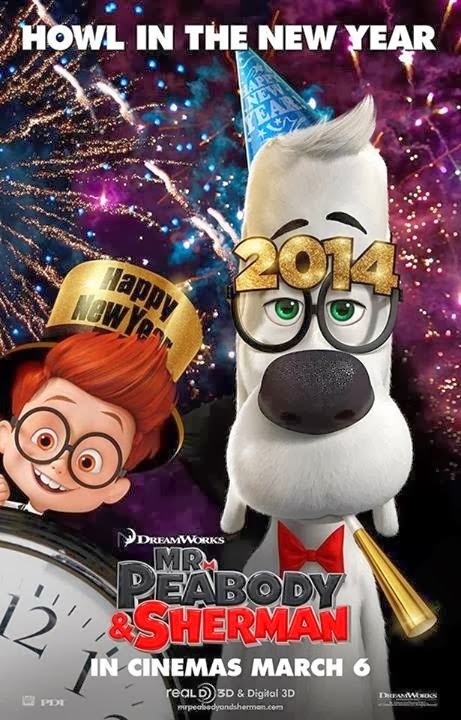 I guess part of the design of the show is to show the contrast between Peabody and Sherman, and to a certain extent it works well in the movie. But this "father" and son relationship is a bit deep for younger children. As well, the movie as I have said uses a lot of puns, word play in which the characters try to emphasize themselves. But when the audience is mostly silent with only a few chuckles, then you know something is wrong. Viewing the movies from an adult standpoint, the movie is great. Whenever time travel is involved, consistencies and good science is troublesome. What I love besides the animation is the history lessons given about historical figures and events such as the French Revolution even if parts are a little embellished. It reminds me a bit of Dr. Who, who Peabody being the Doctor and Sherman the companion that the Doctor would always have to save! Lines like "if a boy can adopt a dog, then I don't see why a dog cannot adopt a boy!" by the judge will have you laughing. It's the little things in the movie that makes it great. Overall, I would recommend this movie but not for young kids (ages seven and below). Save your money and watch it as a matinee if you must or wait for the DVD. As far as animations in theaters currently, bring your kids to The Lego Movie if you haven't already. But for older kids and adults the movie has quite a charm to it with a nice touching story.